This topic contains information about configuring Trusted Root Certification Authorities. 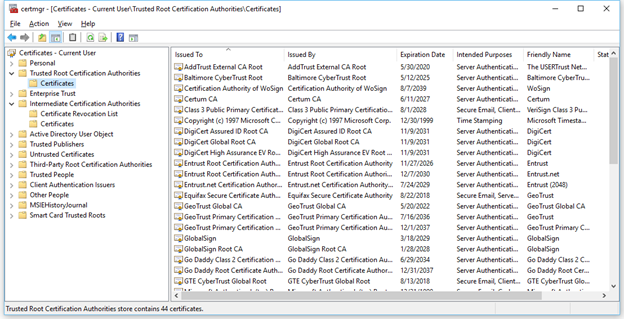 This issue can be addressed by removing all non-self-signed certificates from the Trusted Root Certification Authorities in Certificate Manager (certmgr.msc) and moving them to the appropriate location instead, such as Intermediate Certification Authorities. Make these changes with caution, because other software may be affected; you'll need to run software tests to ensure everything still works properly.